PARIS (Reuters) -- French car sales fell 3 percent in August, a seasonally weak vacation month, the country's CCFA industry body said today. Registrations fell to 83,340 cars, with Renault's 11 percent decline leading the drop. PSA/Peugeot-Citroen sales fell in line with the market. When adjusted for the loss of one selling day compared with August 2013, sales last month rose 2 percent, the CCFA said. France is lagging a fragile recovery in Europe as a whole, where car sales were up 6 percent in the first half of the year. European sales data from industry body ACEA, for July and August, is due to be published on Sept. 17. 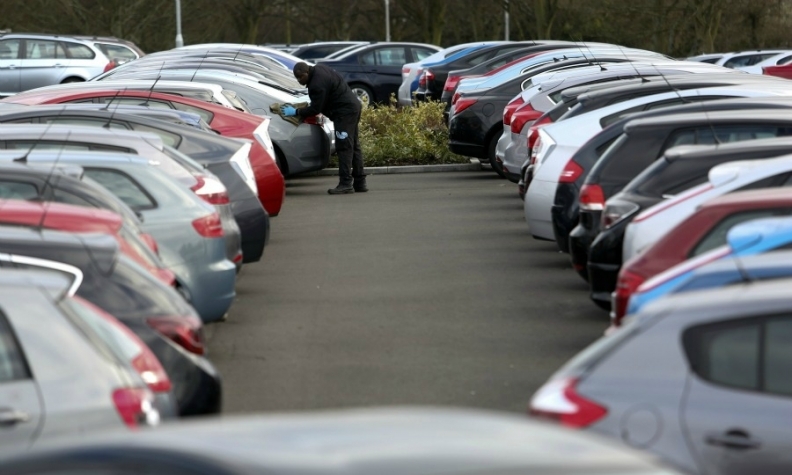 "Consumers are holding back before replacing their cars," said Flavien Neuvy, head of auto-market forecasting at Cetelem, a BNP Paribas sales financing division. "The morose economic context is continuing to weigh, and while August is not very representative we're still 20 percent below pre-crisis levels." Volkswagen Group bucked the French decline with an 11 percent sales gain led by its Skoda brand, which rose 25 percent. French registrations for the year so far were up 2 percent, the CCFA said.